Brand Stewardship. Sounds like a lofty ideal. Frankly, in some ways it almost seems like a notion that is out of synch with our world today. Stewardship is a long term concept trying to survive in a world with a short attention span. But thinking of it that way is too cynical. At its best and most realistic, brand stewardship is the cumulative efforts of enthusiastic, passionate brand professionals. Chuck Berger is a great example of a brand professional who demonstrated the passion and professionalism that epitomizes the pure essence of brand stewardship. What can you do to act as a brand steward for the brand that you manage or can influence? 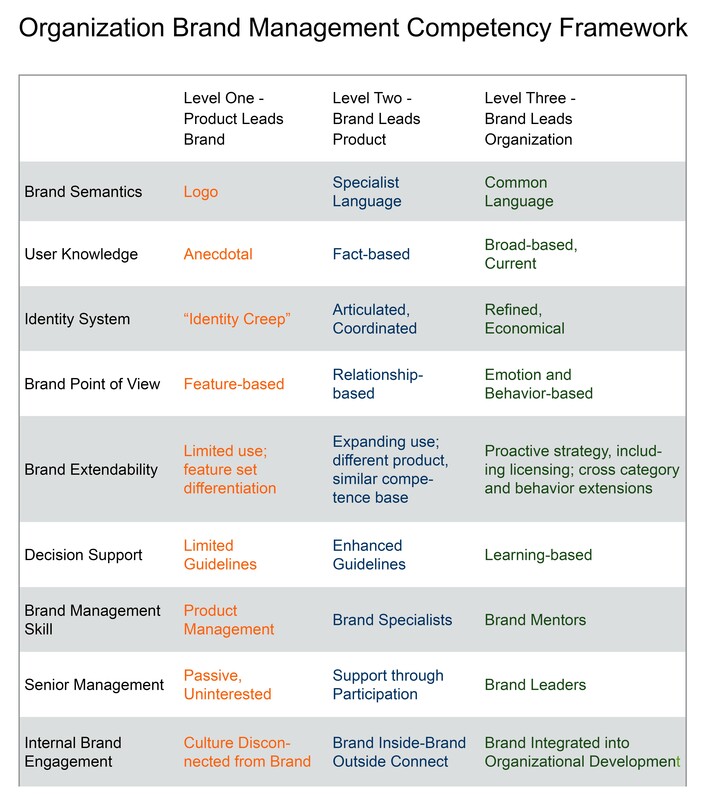 Look at the graphic below and pick a spot along one of the nine basic brand management competencies where you can make a contribution. Challenge yourself to innovate a process, broaden a team member’s perspective on the competency, stand-up for your brand with an agency or other vendor or demonstrate mindfulness when you are making important decisions about the brand. Great brand management happens on the margin and brand stewardship is the result of the passion of every personal brand that comes in contact with the brand. Karl, your brand leadership at ATD-GTC monthly meeting on Friday was a grand-slam, triple-win presentation. Thank you! Looking for more . . .